Tickets are now on sale (and going very quick!) 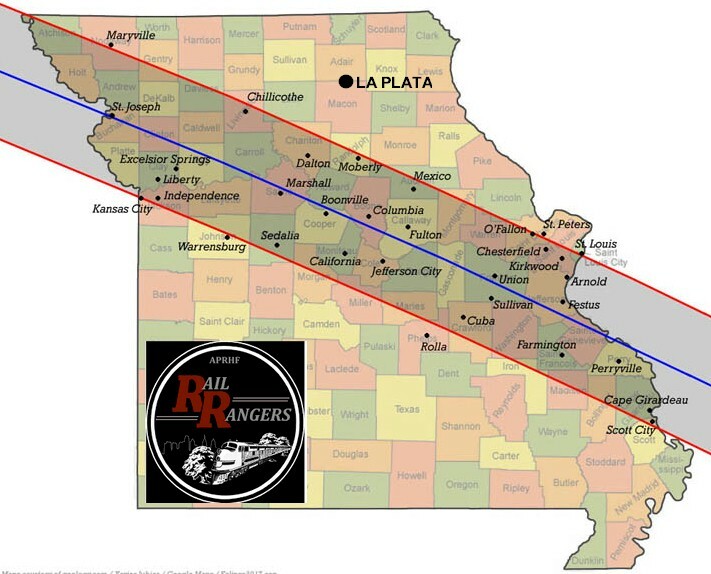 for a private rail excursion to La Plata, Missouri ahead of this summer’s total solar eclipse. This four-day, three-night guided journey will take place between Saturday, August 19, 2017 and Tuesday, August 22, 2017. It is being organized by Zephyr Route Tours of St. Charles, Illinois, in conjunction with the 501(c)(3) non-profit American Passenger Rail Heritage Foundation’s Rail Rangers program. 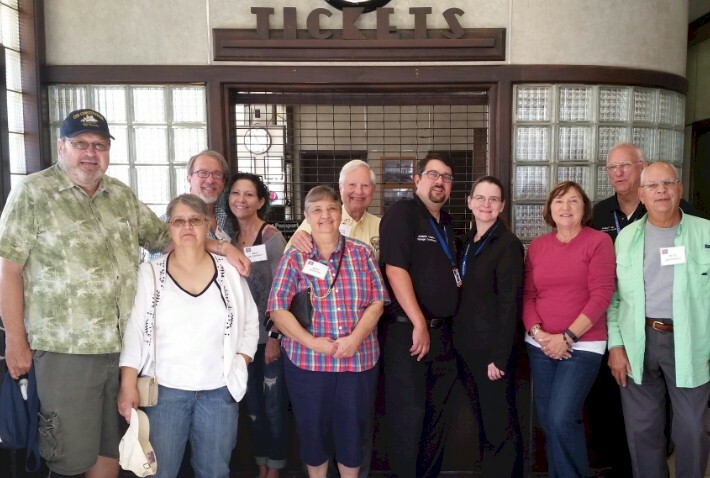 The 20th Century Railroad Club out of Chicago, a test partner with the Rail Rangers, is also selling tickets on this excursion as a fundraiser for their organization. 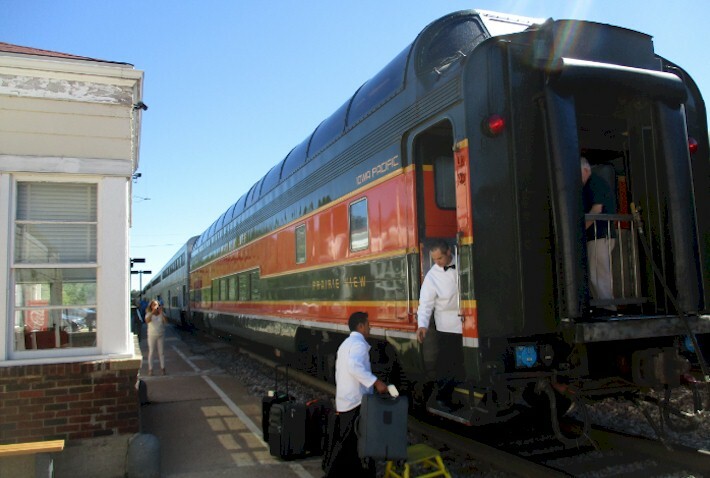 Why drive hundreds of miles to Southern Illinois or Central Missouri to see the eclipse on a boring interstate highway stopping all the time for gas and food — when you can travel in style and enjoy a vintage 1950′s full-length dome car en route sipping champagne! Passengers will begin their trip on the afternoon of Saturday, August 19, 2017, by boarding a full-length dome car that will be positioned on the back of Amtrak’s Southwest Chief. Boarding takes place at the following times and locations: Chicago (3:00pm), Naperville (3:35pm), Mendota (4:24pm), Princeton (4:46pm), Galesburg (5:38pm), or Fort Madison (6:42pm). A full dinner will be served to all passengers aboard the train regardless of origin point. Live narration will be provided by the APRHF Rail Rangers en route so you’ll know exactly what you are seeing our your window. 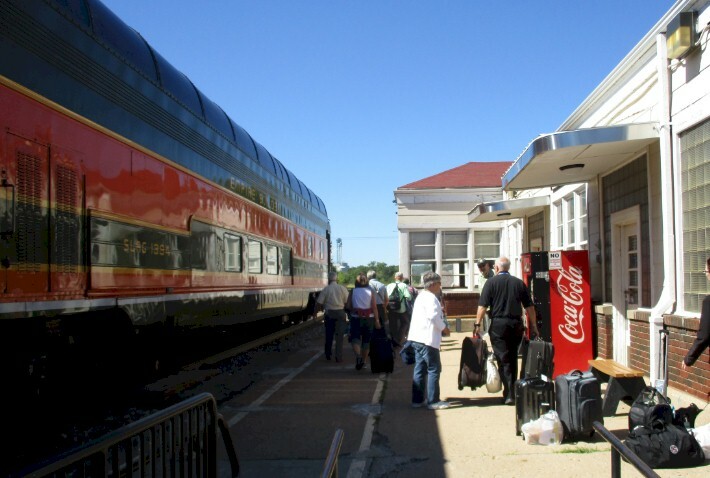 Upon arrival in La Plata, MO (estimated at 7:51pm), a brief orientation will be given by APRHF President Bob Cox and transportation will be provided to the Depot Inn & Suites, where you will be spending the next three evenings. (Dinner on the train is included in the package price this evening). Enjoy a leisurely “Sunday in the Country” on Sunday, August 20, 2017, spending time exploring Northeast Missouri’s scenic rolling hills at your own pace – or join the APRHF Rail Rangers for guided motorcoach tours of the area. After a complimentary continental breakfast at the Depot Inn, the optional morning guided tour will be hosted by APRHF President Bob Cox and his wife Amy. The Cox’s will take everyone down to Marceline, Missouri for a tour of Walt Disney’s Boyhood Home and Farm. This is where Walt is said to have gotten his inspiration for many of his cartoons and movies. Plus, the Main Street of Marceline is said to have a striking resemblance to that of Disneyland. 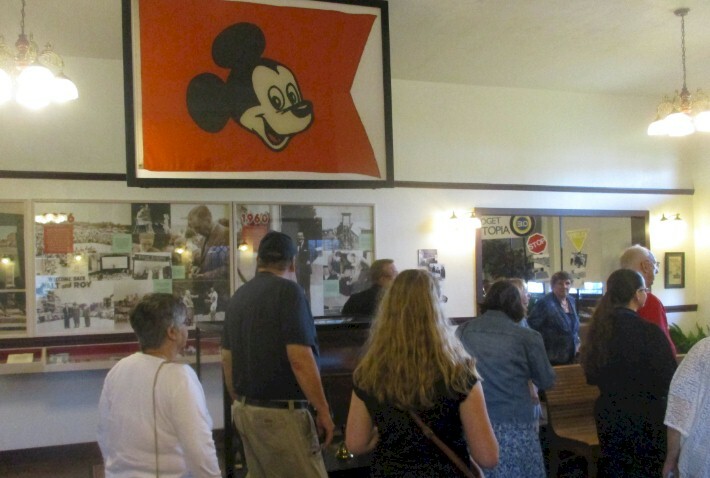 The Disney Museum is located in the old Santa Fe Marceline Train Depot! Finally, enjoy a tasty lunch at a quaint hometown diner in Marceline before returning back to La Plata. The afternoon optional tour on Sunday will be hosted by APRHF Vice-President Elect Robert Tabern and his wife Kandace. They’ll hit the road and take travelers up to scenic Thousand Hills State Park outside of Kirksville. Enjoy a guided tour around the beautiful lake and up to a shelter that contains petroglyphs left by Native Americans more than 1,000 years ago! 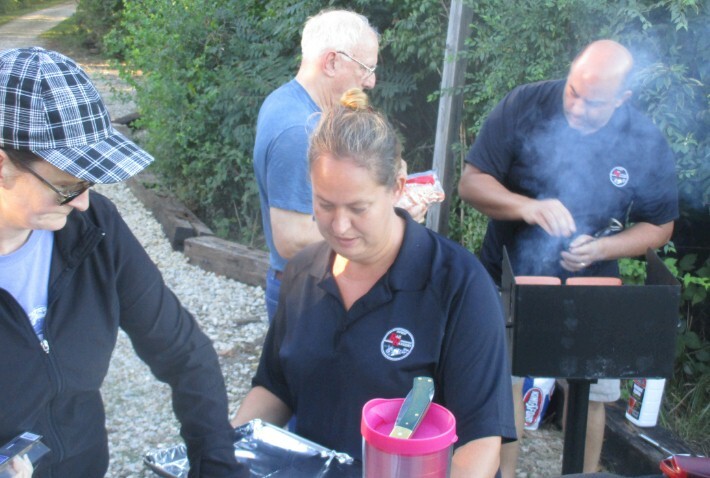 Regardless of what you do, everyone is invited to a home-cooked BBQ at Lookout Point Park — as we enjoy our burgers, hot dogs, and some train-watching together. (Breakfast and dinner included in package price as well as admission to Disney Museum and Thousand Hills State Park, lunch is at your own cost). There’s no rest for the weary as we rise early on Monday, August 21, 2017. After a complimentary continental breakfast at the Depot Inn and Suites, we are off to either Columbia or St. Joseph, Missouri to watch the solar eclipse! Both Columbia and St. Joseph are in the very narrow zone of the 100% eclipse — so yes — you will get to experience total darkness. The plan is to head to Columbia, however we may head to St. Joseph instead if sky conditions are better at that location. This summer’s “Great American Total Solar Eclipse” will darken skies all the way from Oregon to South Carolina, along a stretch of land about 70 miles wide. 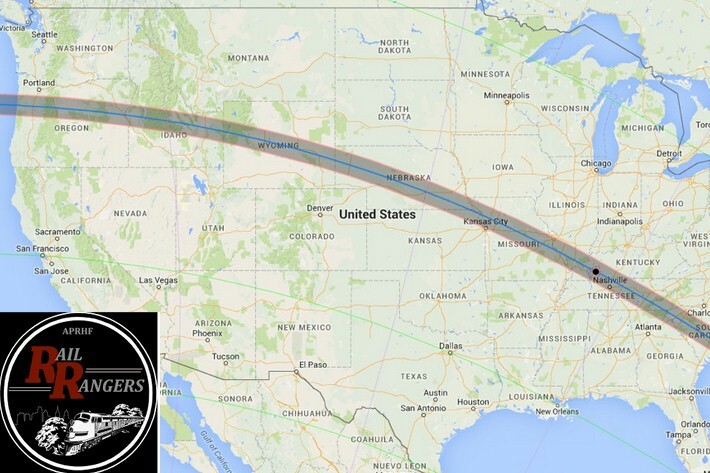 People who descend upon this “path of totality” for the big event (like you will be if you book this tour!) are in for an unforgettable experience, said eclipse expert Jay Pasachoff, an astronomer at Williams College in Massachusetts. “It’s a tremendous opportunity,” Pasachoff told Space.com. “It’s a chance to see the universe change around you.” A total solar eclipse last darkened soil on the U.S. mainland on Feb. 26, 1979. But August 2017 will mark the first time in 99 years that such an event is “readily available to people from coast to coast,” Pasachoff said. We’ll return to La Plata after the eclipse so you can experience dinner on-your-own, and see of the sites around the hotel – including the APRHF’s Exhibition of Amtrak History. (Breakfast and solar glasses included to watch eclipse, lunch and dinner on your own). And yes, now the pricing details. Tickets are available by contacting Mr. Mike Abernethy, President of Zephyr Route Tours. He can be reached by e-mail at zephyr360@att.net or by phone from (630) 542-3607 (please call daily 10AM to 9PM CT only). We are only selling 40 seats for this trip — so book now! We expect this trip to sell out very quickly now that we are getting media attention from several newspapers in Illinois and Missouri. Pricing is $799 per person double hotel occupancy or $969 for single hotel occupancy. Join us for an amazing weekend that you won't soon forget! In conjunction with this trip, the APRHF Rail Rangers have released a 350-page railroad route guidebook for the train route between Chicago and La Plata. 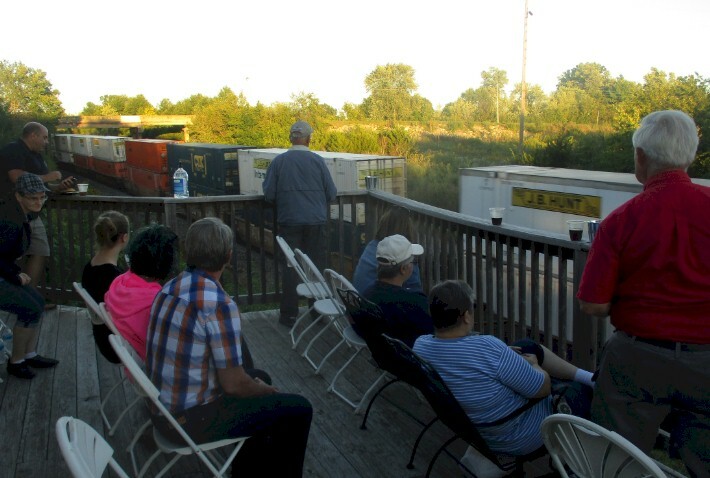 “Outside the Rails: A Rail Route Guide from Chicago to La Plata, MO” details interesting facts about all of the trackside towns seen along the way. Copies are available for $35 (+ S&H) through the website www.midwestrails.com. This serves as a major fundraiser for the non-profit APRHF Rail Rangers program. Again, ticketing for this excursion is being handled by Zephyr Route Tours; they should be the main point of contact. 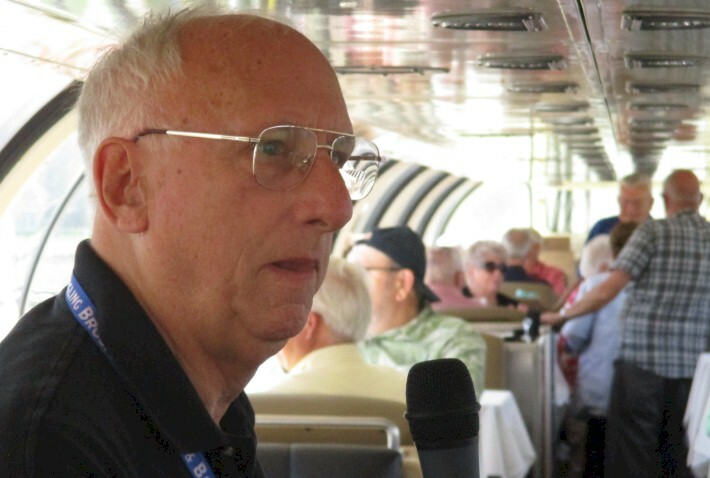 For questions about the optional daytrip tours, motorcoach to Columbia to see the eclipse, or onboard educational programs being offered, please contact APRHF Rail Rangers Executive Director Robert Tabern at railrangers@rtabern.com or by calling (847) 271-1979.